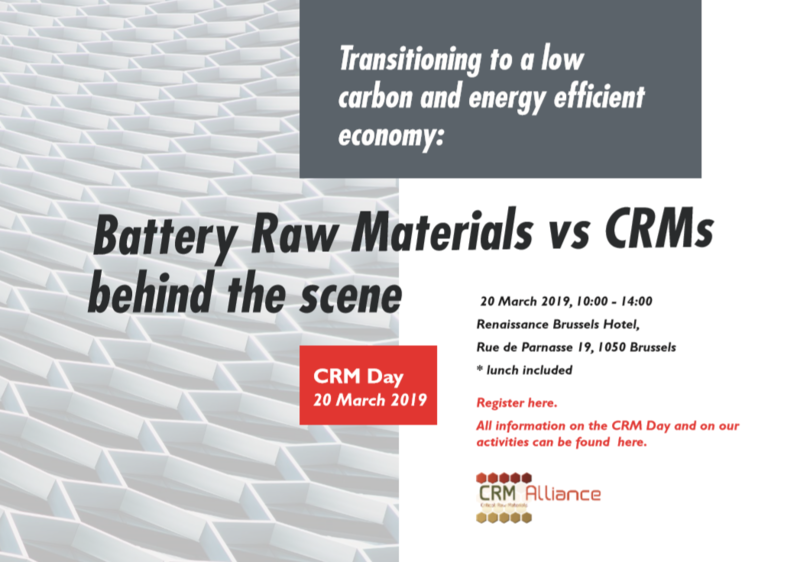 The Critical Raw Materials Alliance is happy to announce its upcoming CRM Day which will be dedicated to “Transitioning to a low carbon and energy efficient economy: Battery Raw Materials vs CRMs behind the scene”. The event will take place in Brussels on 20 March 2019 at the Renaissance Brussels Hotel in Rue de Parnasse 19, Brussels, from 10:00 am to 02:00 pm. 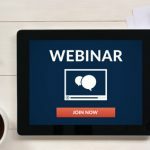 (i) The first panel will be dedicated to the well known Battery Raw Materials (BRMs) – Cobalt, Graphite, Nickel and Lithium – and will address the impact the transition to a low carbon and energy efficient economy will have on the supply of the BRMs and how industry is preparing for the increase of demand as well as the challenges foreseen. 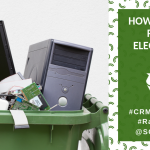 (ii) The second panel will be dedicated to those CRMs, not currently under the spotlight, that cover important roles in the battery supply chain. These CRMs have a pivotal role in the low-carbon energy transition in terms of contribution as well as impacts on demand and supply. Information on speakers and the agenda will be published soon on our website.